Warm your insides with our yummy White Hot Chocolate. With bits of white chocolate, milk, half-and-half, vanilla extract and marshmallows, you can whip up a desserty-drink that will keep everyone gathered around. 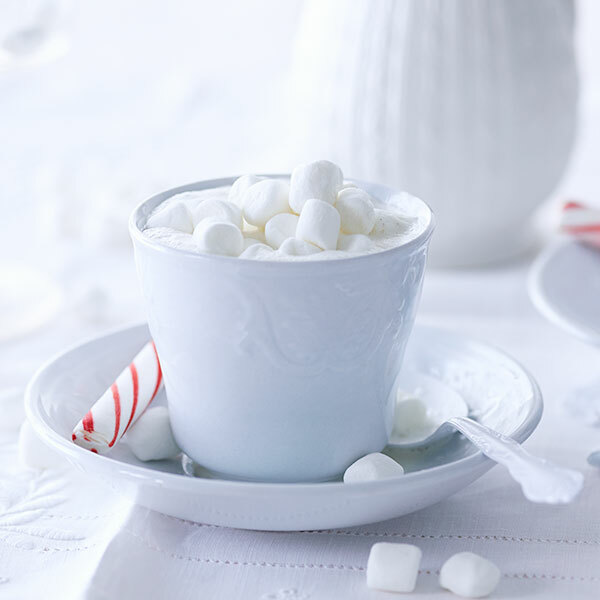 For a minty flair, use a peppermint stick to stir this homemade snowy-white delight. In a medium, heavy-bottom saucepan, heat milk and half and half until hot and frothy. Remove from heat and stir in white chocolate and vanilla. Stir until chocolate is completely melted, returning to heat if it needs to be warmed. Pour into mugs and serve with marshmallows.